Happy Tuesday, y'all! I am still enjoying my freedom from schoolwork and my massage yesterday was INCREDIBLE! Today I wanted to share some kids' fashion with you. At stores I always swoon over the kids' section and know that my shopaholic tendencies are going to multiply when I have my own kids to dress! This semester my field placement has been in a private school here in Charlottesville and I must say, this class is comprised of some well-dressed 2nd graders (one of the boys actually has a Barbour Jacket...at 8 years old!). Anyways, these young fashionistas have inspired me to share some of my favorite children's fashions! First on the list is of course, Lilly P! Love the rosette detailing and really..how cute is she? Yes...my future son will wear Lilly too! For a classic look, Janie and Jack is a great place to shop. Perfect for playing outside in the summertime! Another favorite of mine is Mini Boden. I love me some gingham! 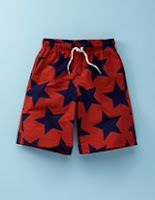 These swim trunks would be perfect for July 4th! Why doesn't this come in my size?!? Just Ducky has the cutest monogrammed clothes! Wouldn't this be cute for a beach vacation? 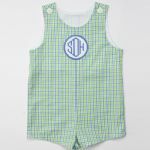 My child will love monograms as much as me, of course! Finally, for bedtime, Hanna Andersson is the way to go! Do y'all swoon over adorable kids' clothes like me? 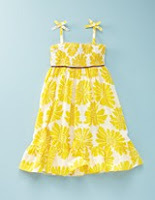 Moms that are reading, where are your favorite places to shop for your kids wardrobes? I love kids fashion too. I've always wished that they would make the same exact clothes in adult sizes!! Why does everything in pint size sizes look so darn cute? 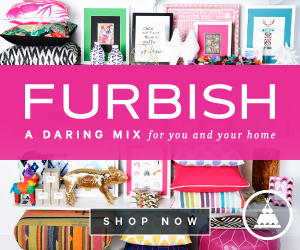 Love love love it!! Too cute, every single one of them! So cute!!! 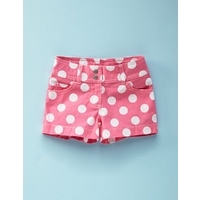 Def need to look into these for my little girlie's birthday coming up! Hard to buy for the little girl that already has everything!!! OMG I've thought a/b doing a post on children's clothing SO many times!!! These are all absolutely adorable. My favorite is the Shortall. I've recently learned how to sew just for the fact that I want to sew "Shortalls" one day for my kids...and get a monogramming machine of course....and I totally agree, my children will love monogramming just as much as I do. Thanks for sharing...I LOVED this post! I love children's clothing! I feel like i'll get out of control when I have my own kids! 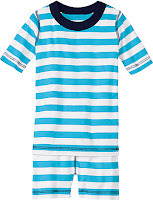 Lands End is hands down my favorite place to buy clothes for my kids. They are reasonably priced and last a whole season. As the mother of a 7 year old daughter I also love the fact that the clothes are classic and not overly trendy. No shortie shorts and bare mid-drifts. My boys love the graphic tees and cargo shorts too. Such a cute post! I love the Betsey Dress! 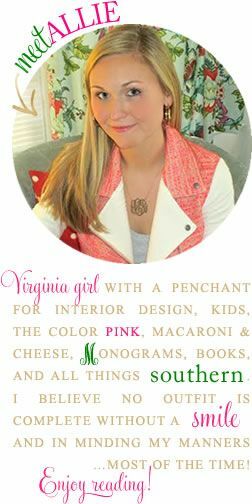 My children will also be as obsessed with monograms as me! Oh my goodness such cute clothing. I can't wait to have little ones to dress, every time I walk by kids gap I just go "aww"
I've loved buying gifts for my friends' baby showers and kids' birthdays because I get to buy cute baby/kid clothes :) I'm definitely going to be in trouble when I have kids! 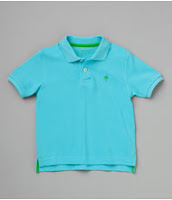 I can just see preppy little kiddos walking around in these clothes! L-O-V-E!!! 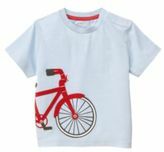 I think there are some of the cutest kids clothing companies out there! Luckily I still fit some kids clothing stores. I love Janie and Jack but it is pricey! I sometimes feel like if I am going to spend that I should buy something smocked. But they are cute play clothes. I like Zucchini, too. Oh my word! Shopping for my children is dangerous! Especially for Annie! 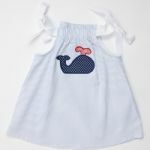 ahhhh I love that whale dress! So cute! I have to admit, I usually get my boys clothes at Old Navy and sometimes I'll splurge for Baby Gap. If I lived close to a Zara I would shop there too. Their kids clothes are so adorable! 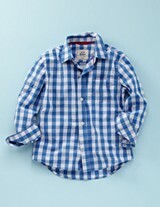 I love that Boden gingham shirt- precious! Aww! I love the yellow dress! I'm also SO jealous you're free from school work and got a massage - Lucky girl! Keep on stopping by and I'll do the same! Ps: did you watch the video for the Benjy Davis song? Im in love with the little girl in the beginning! 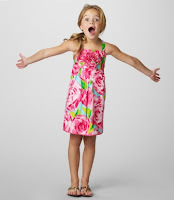 Kids have the cutest clothes... Lilly Pulitzer especially, I must agree. Those little outfits are adorable!! I have to say that I am a sucker for cute clothes for Cate. In fact, since having her my wardrobe has taken the backseat! ha!